The Magic Kingdom fire engine has been part of Main Street, USA for a very long time. 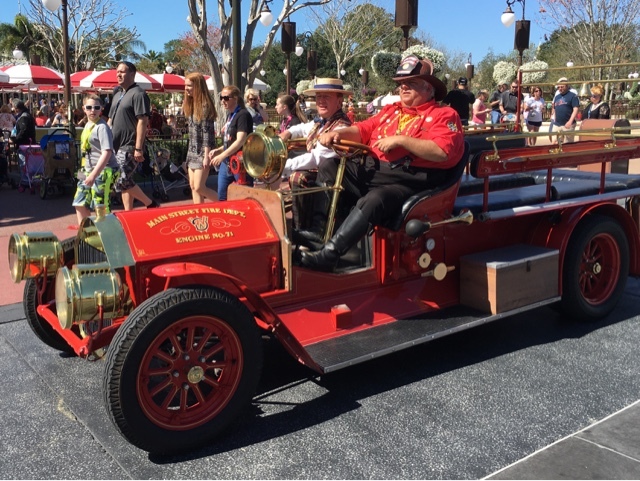 It is fun to see Chief Smokey Miller driving it on a daily basis. Yesterday, he had the local news reporter, Scoop Sanderson, along for the ride.